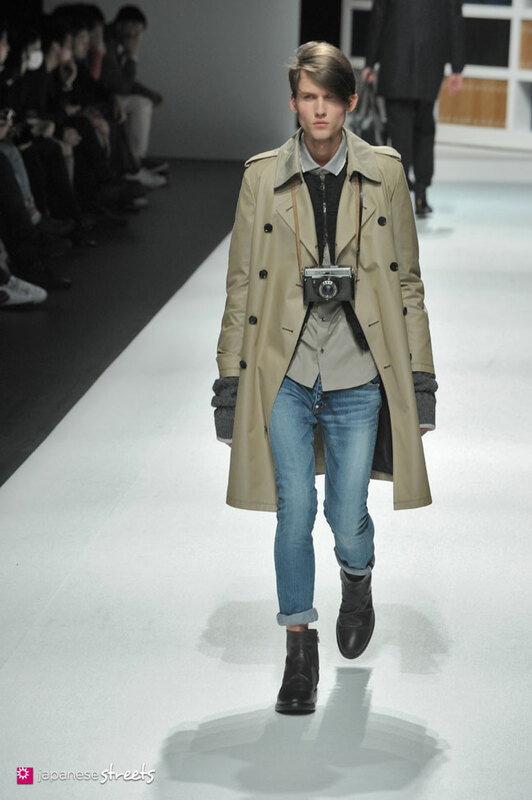 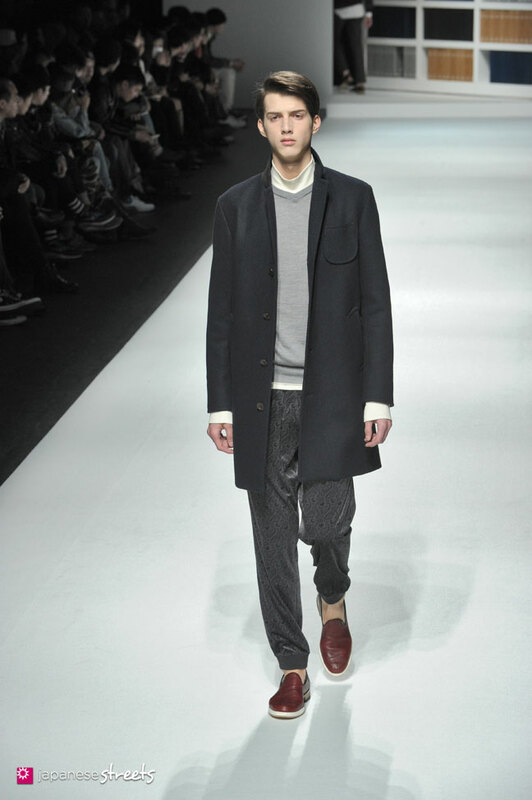 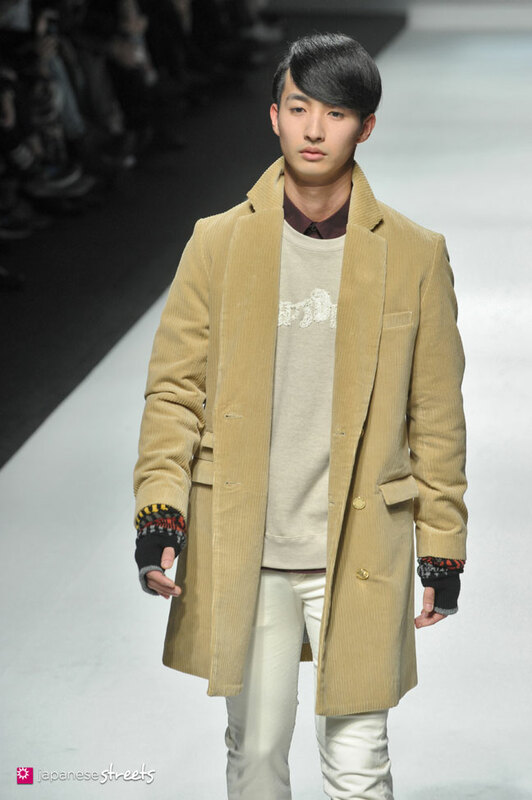 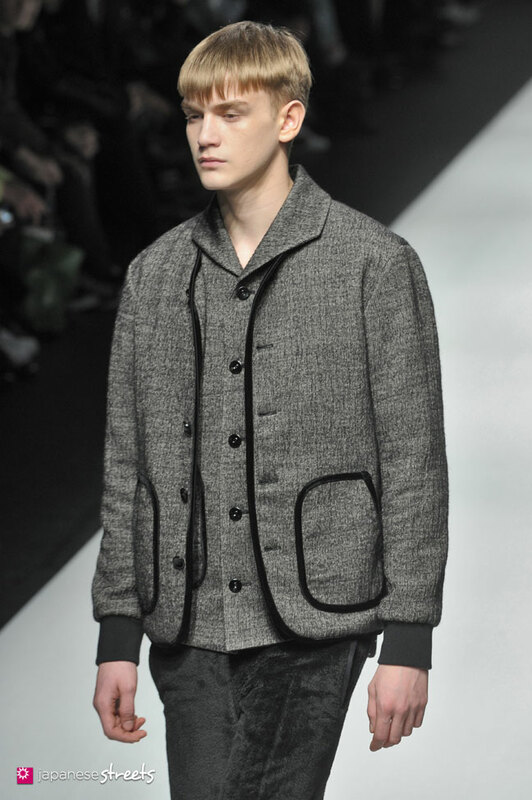 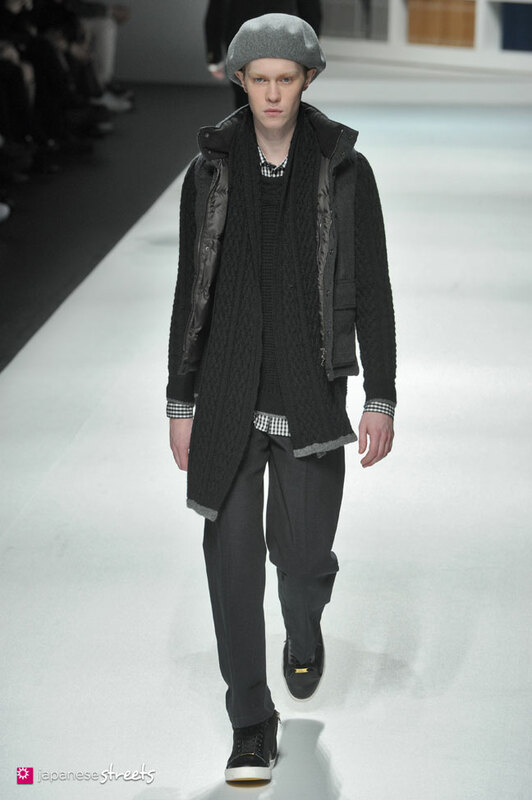 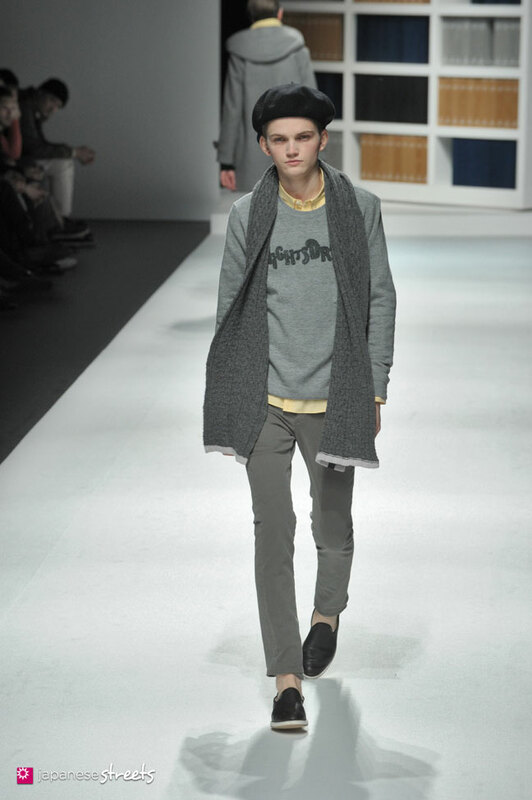 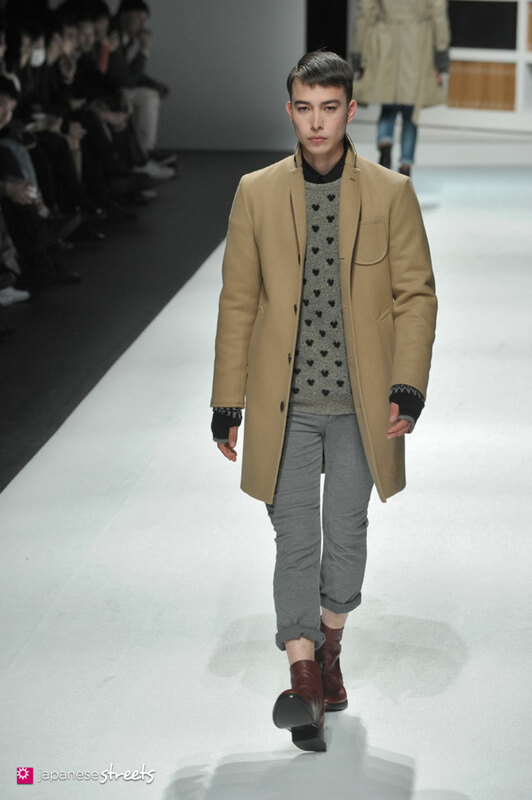 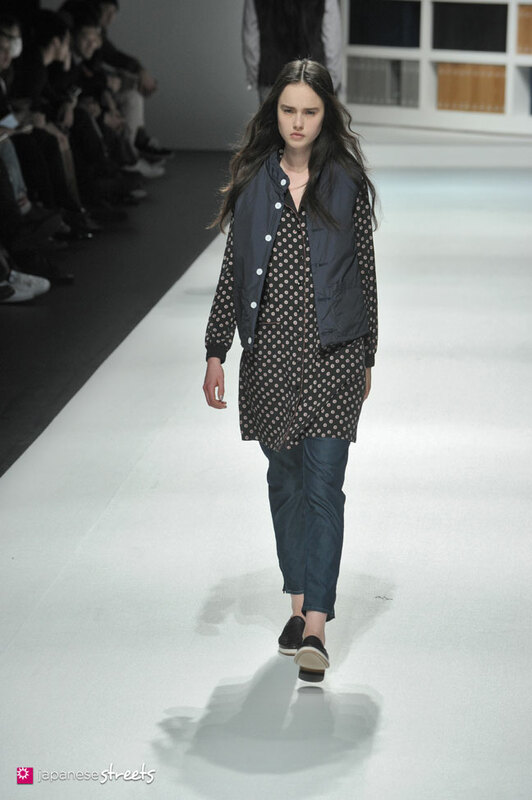 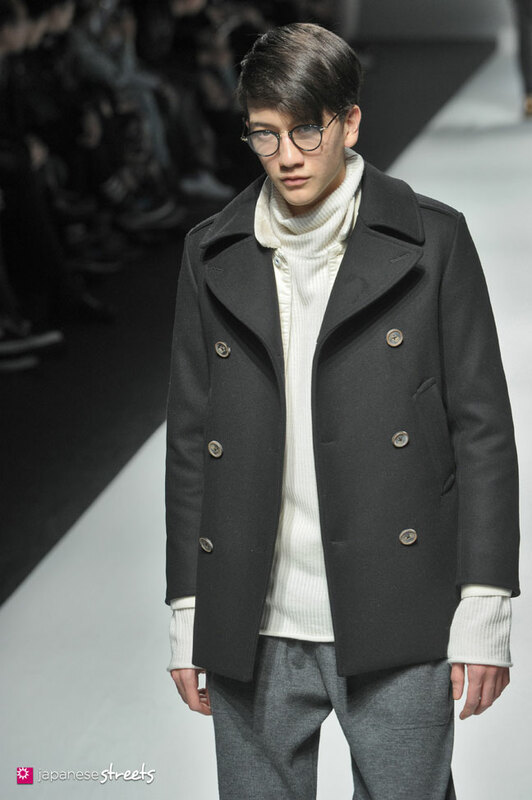 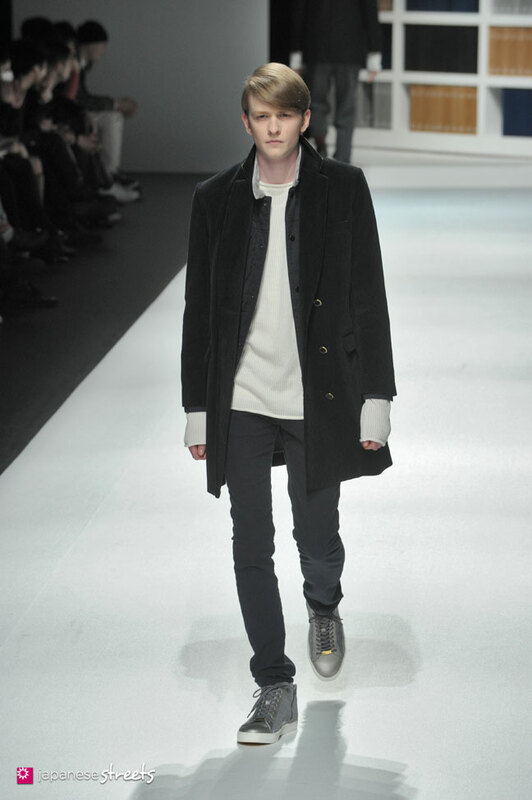 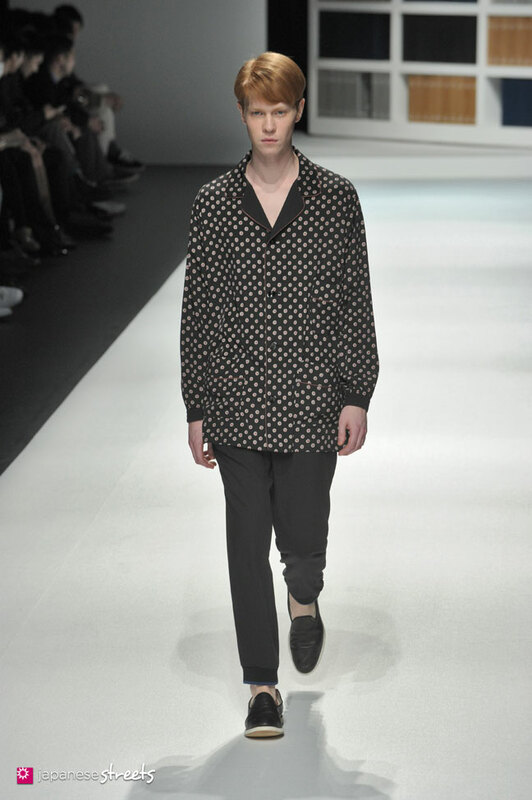 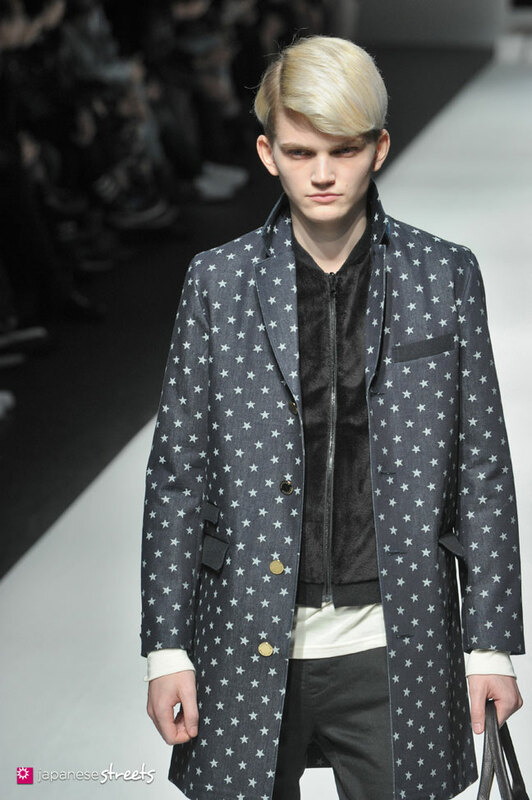 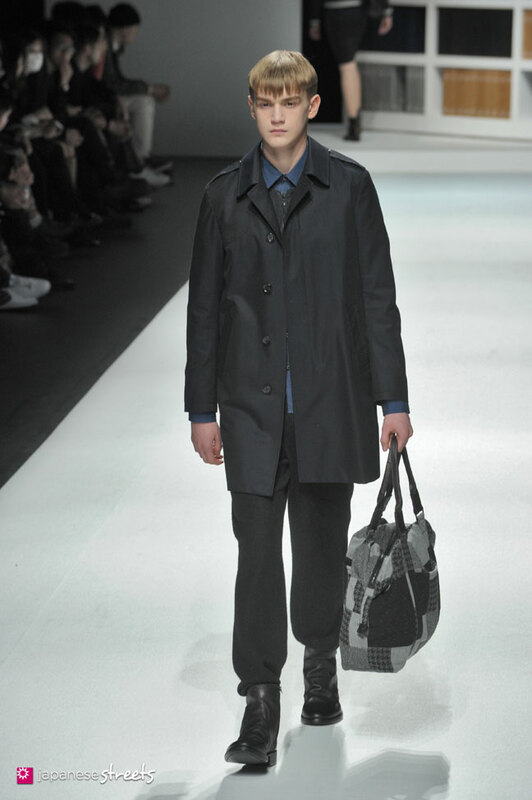 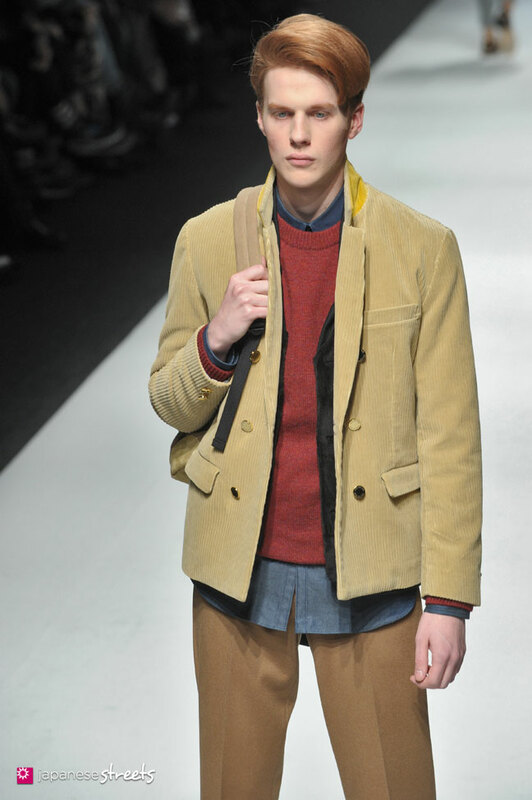 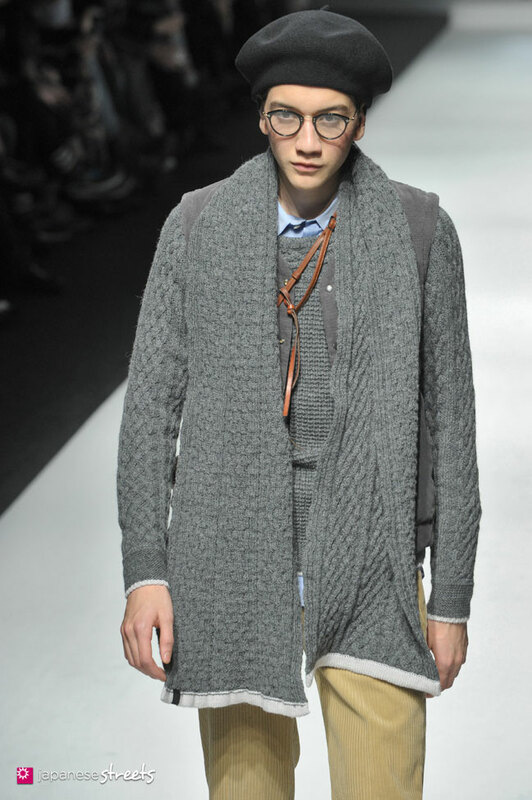 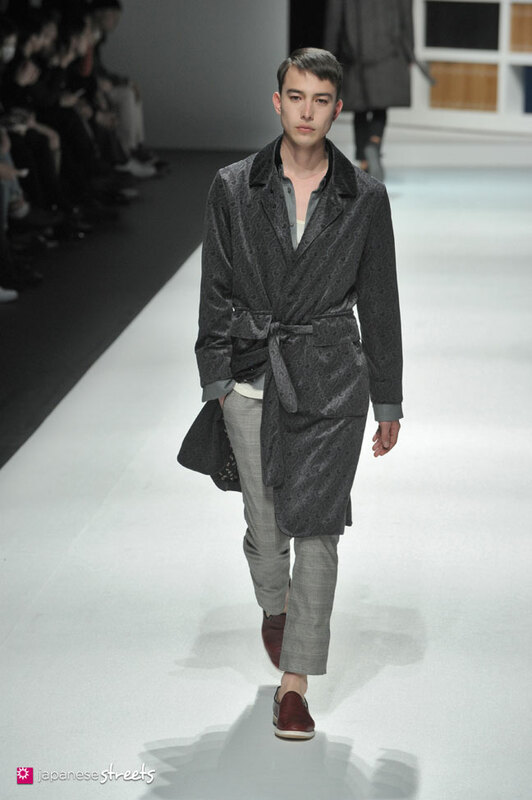 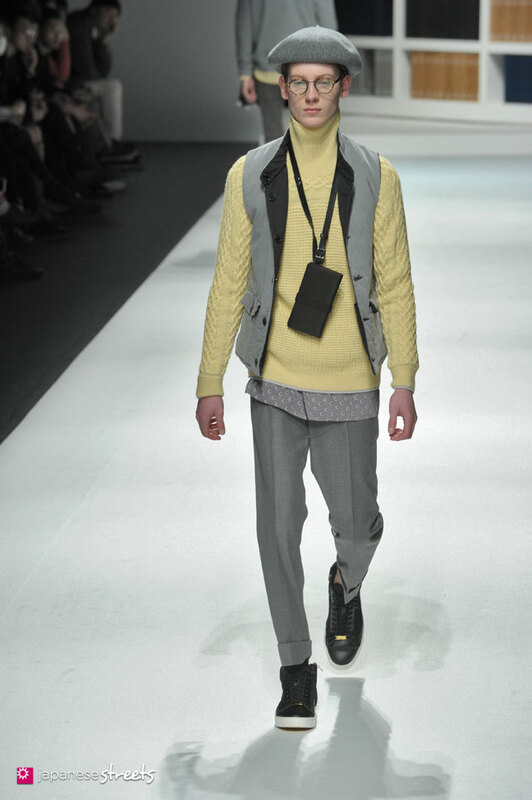 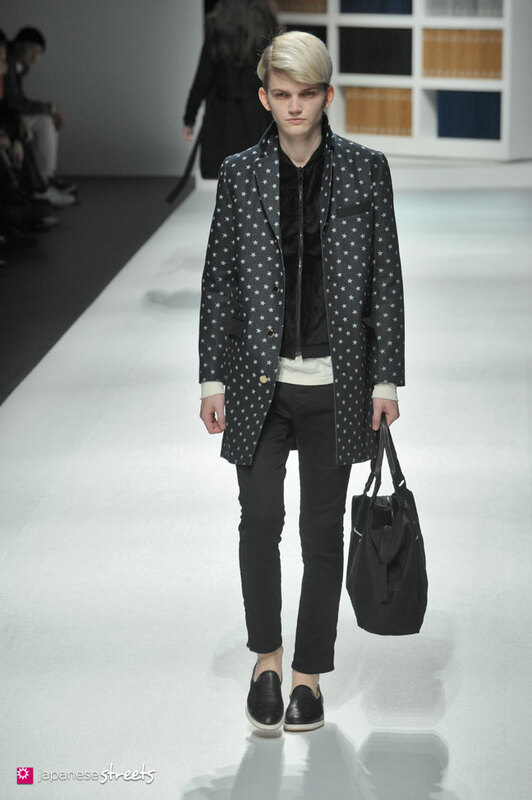 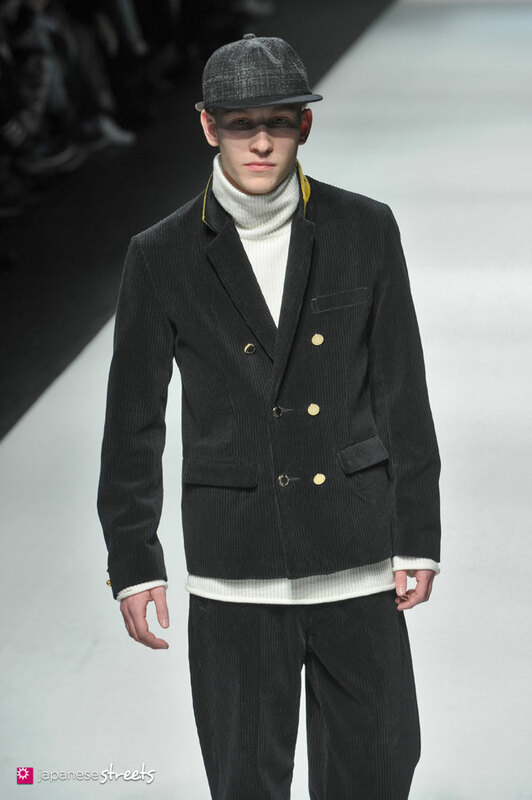 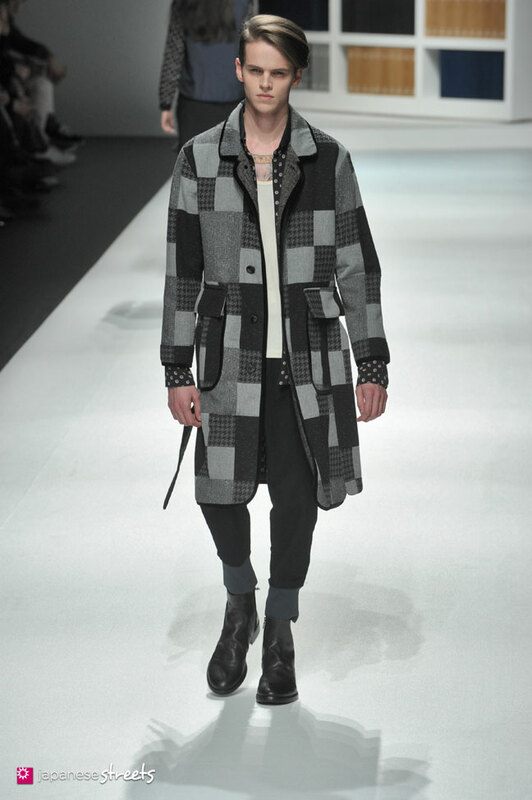 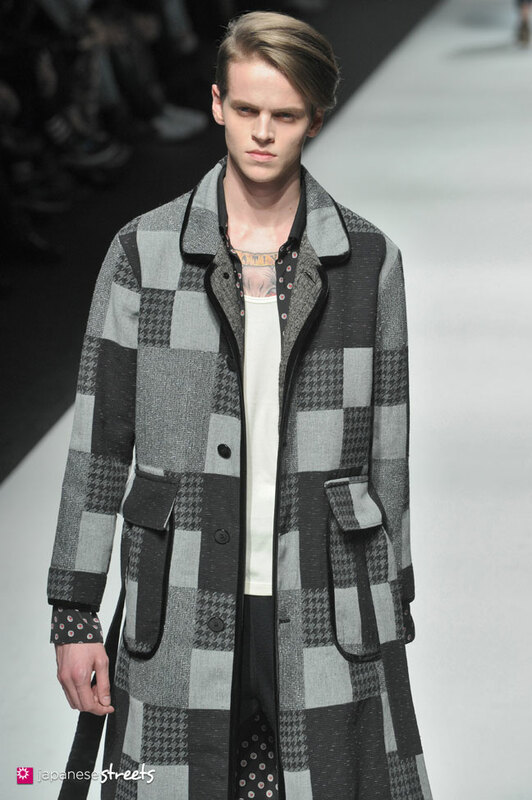 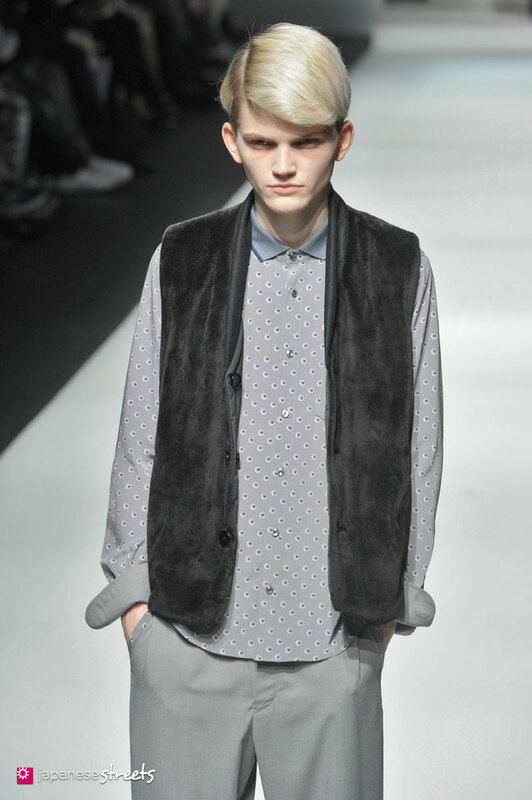 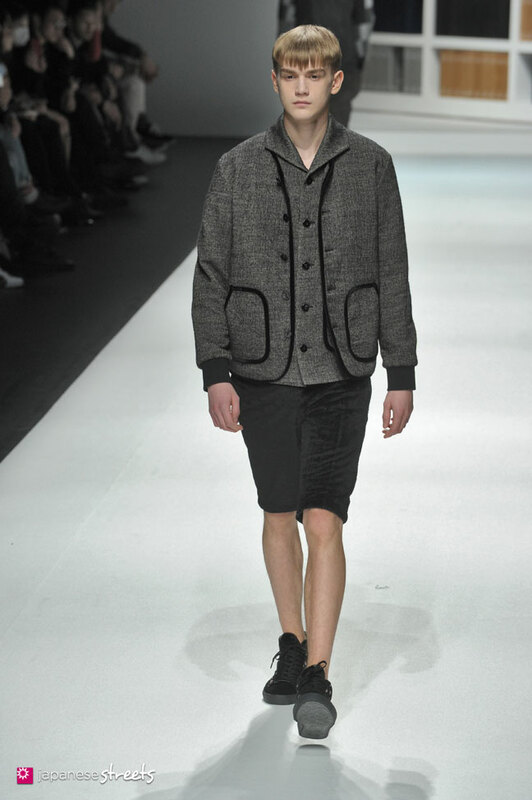 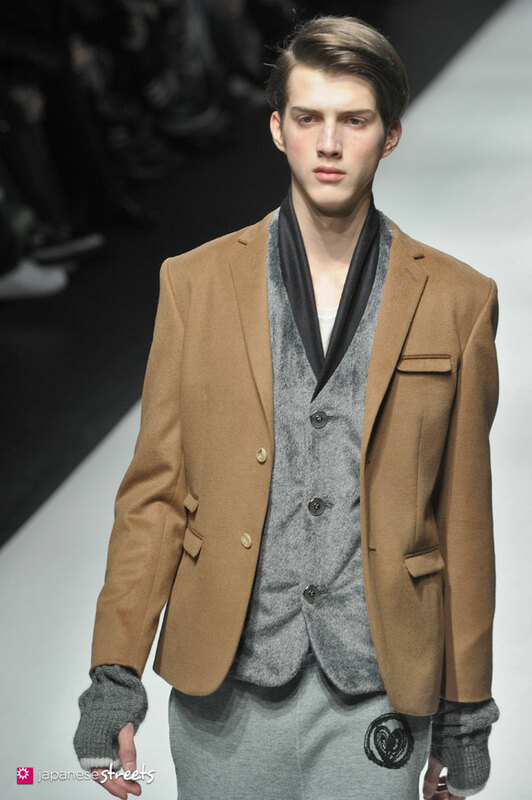 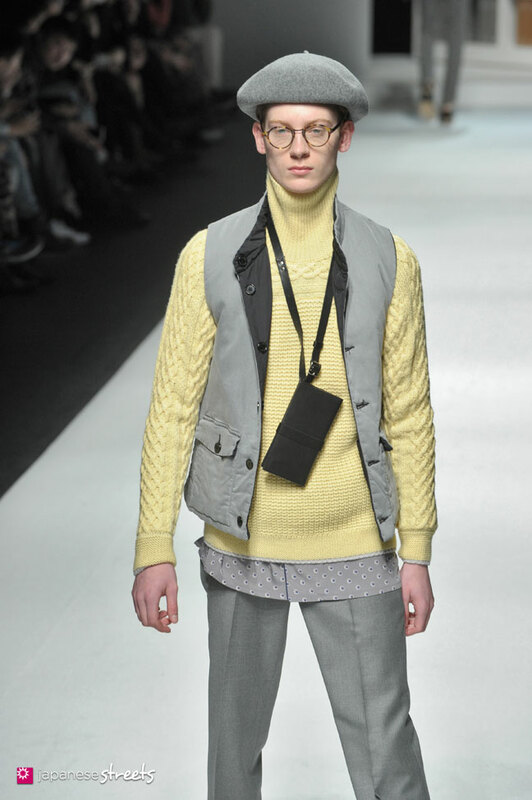 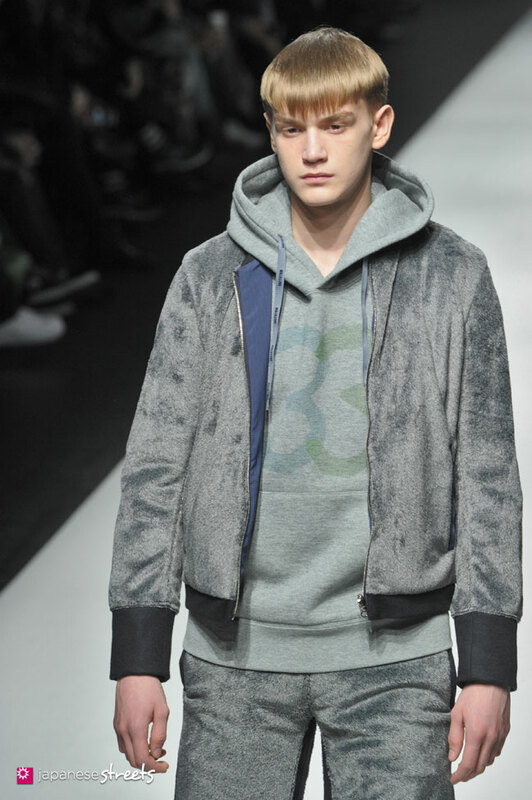 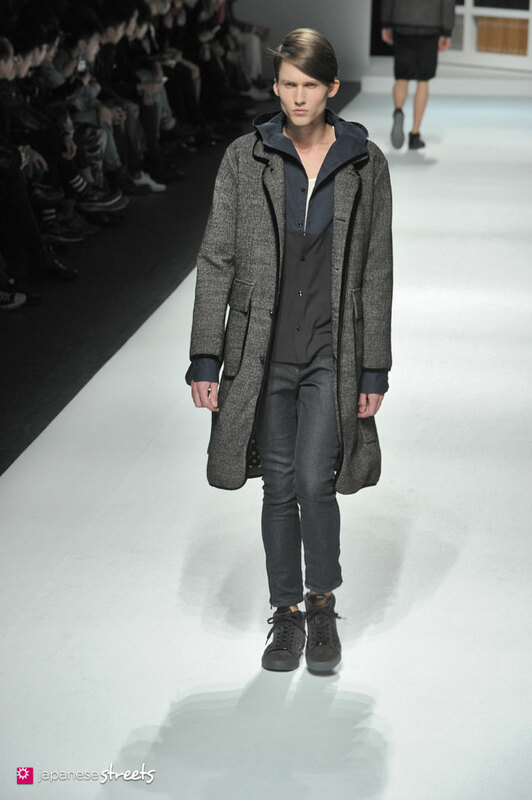 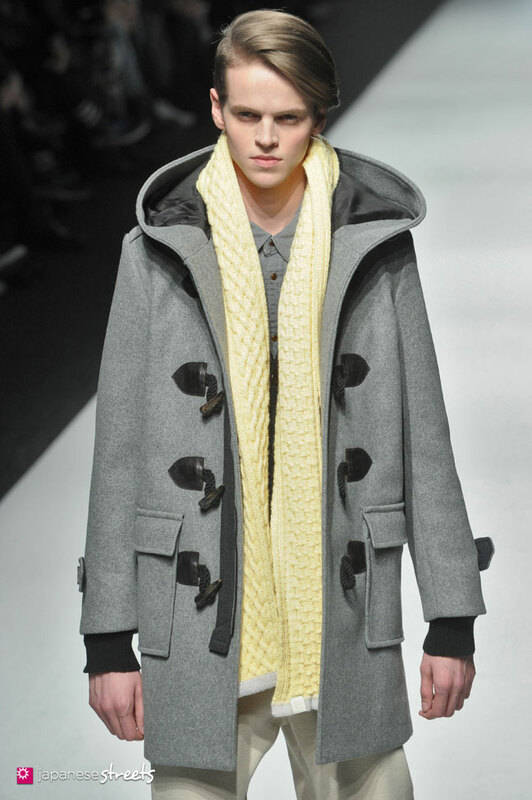 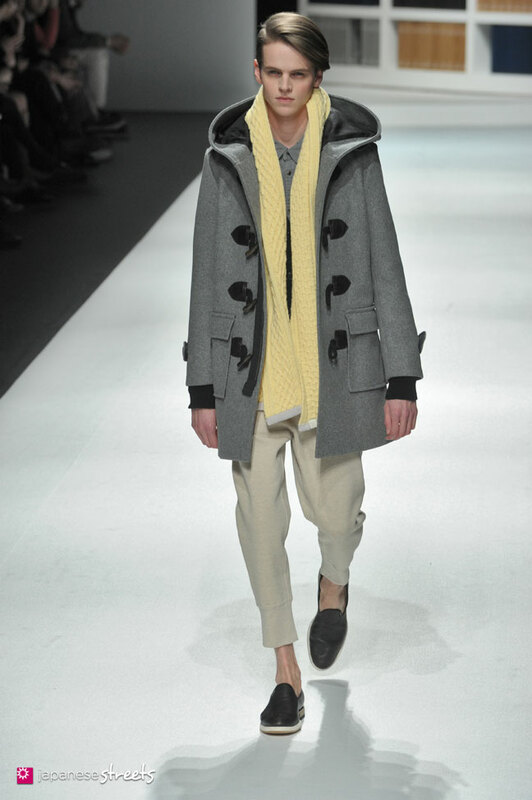 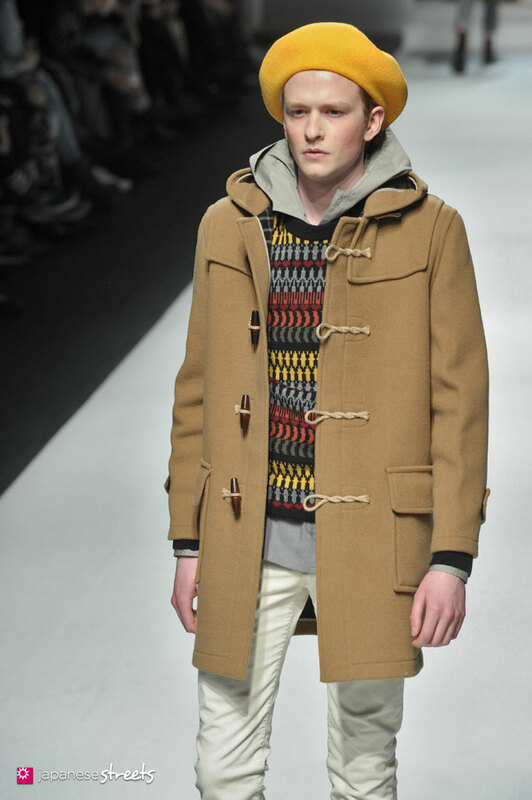 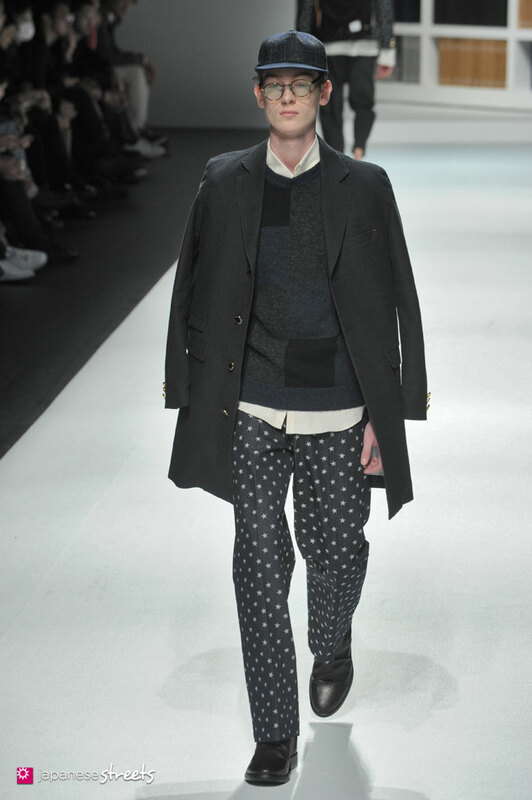 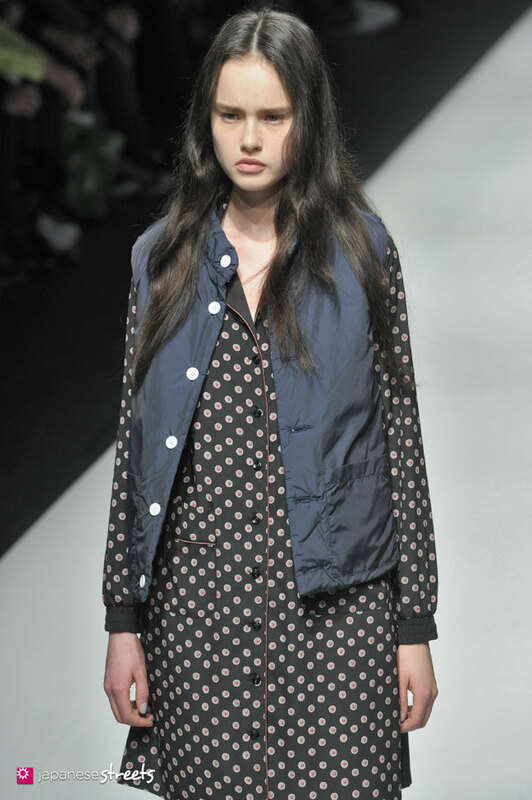 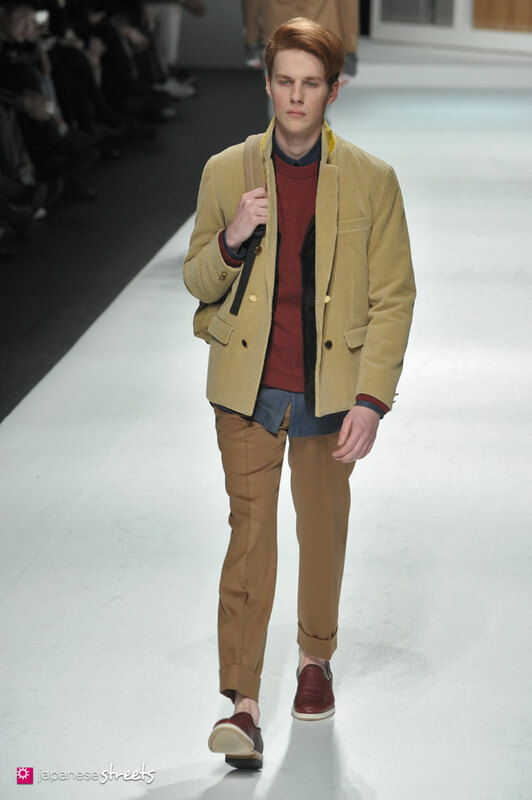 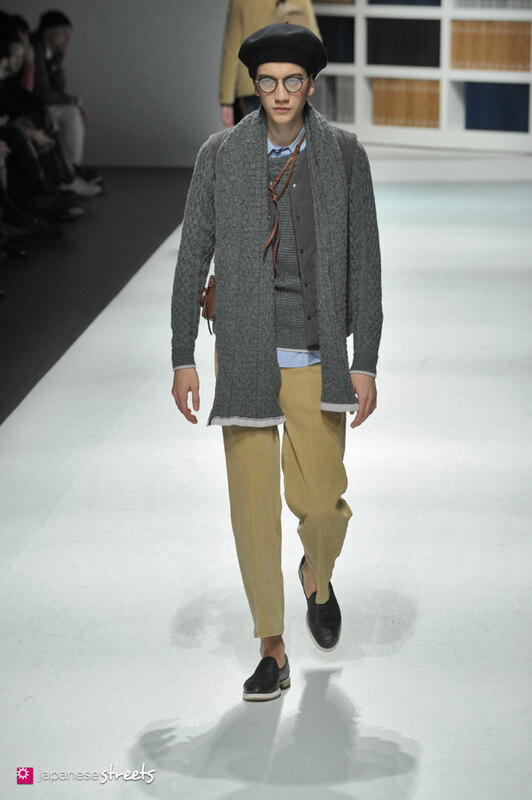 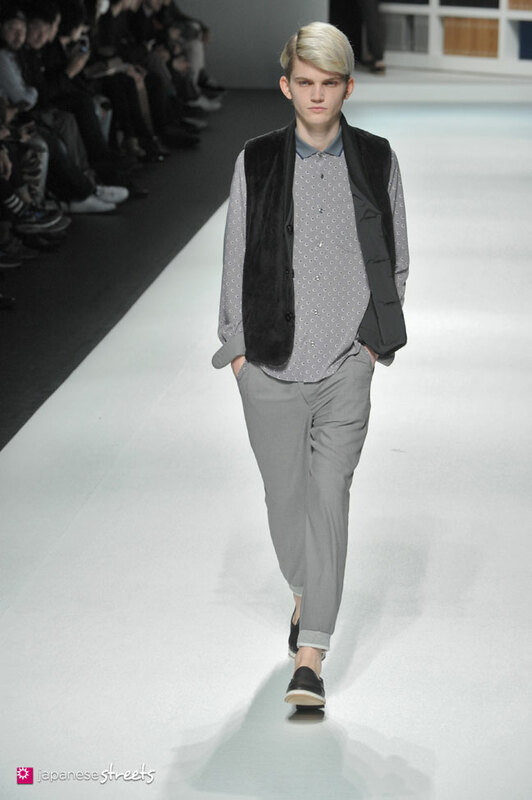 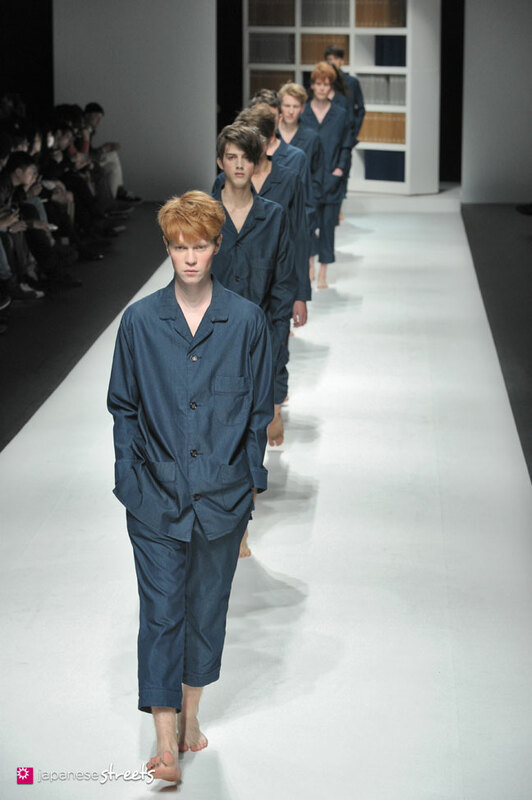 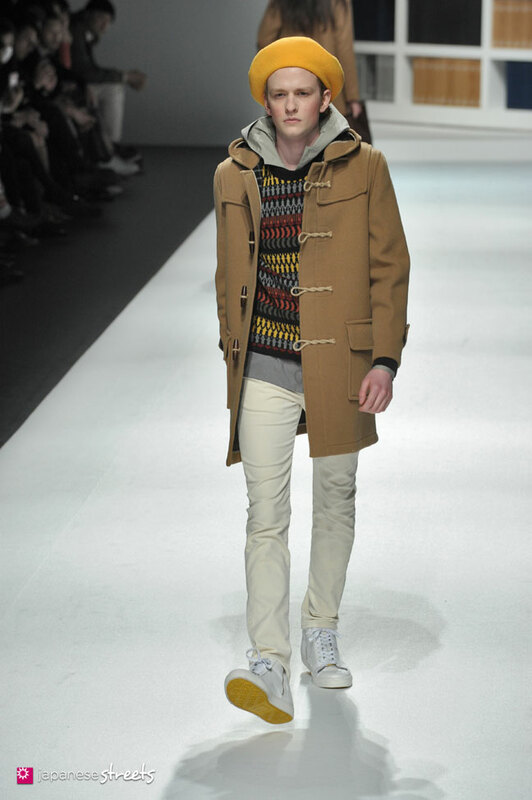 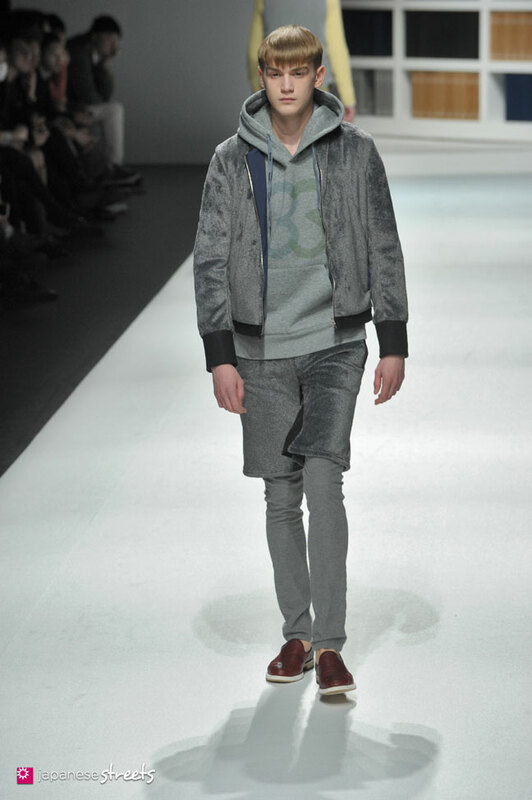 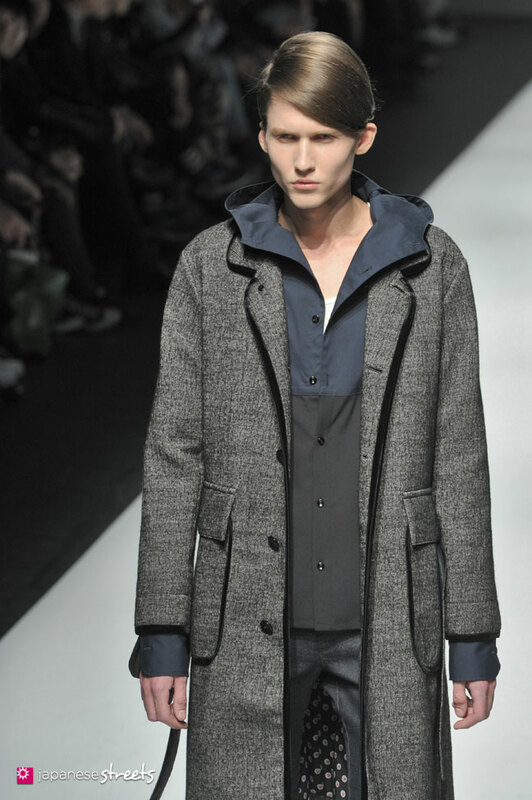 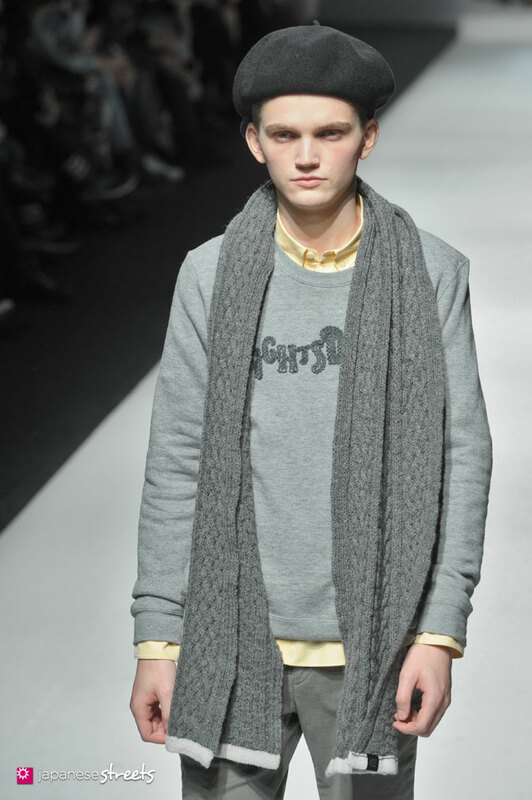 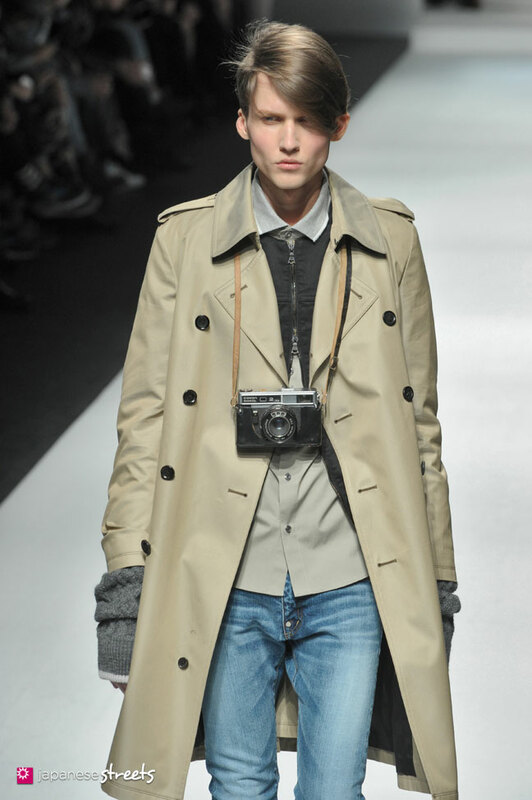 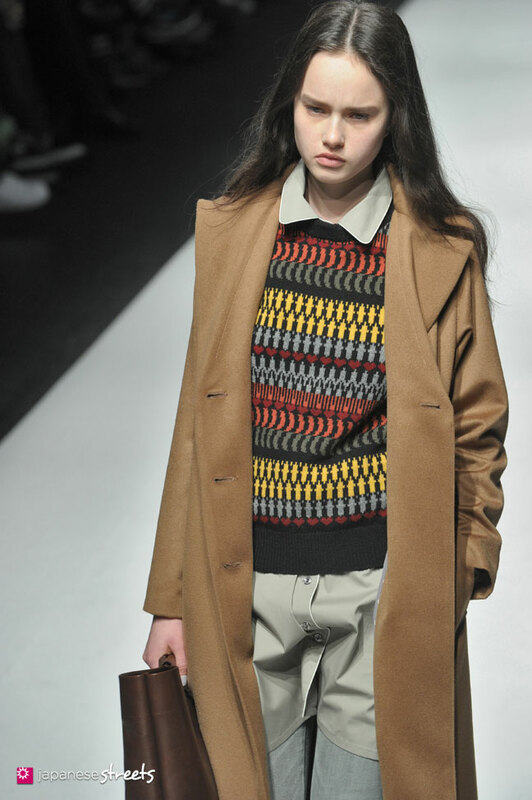 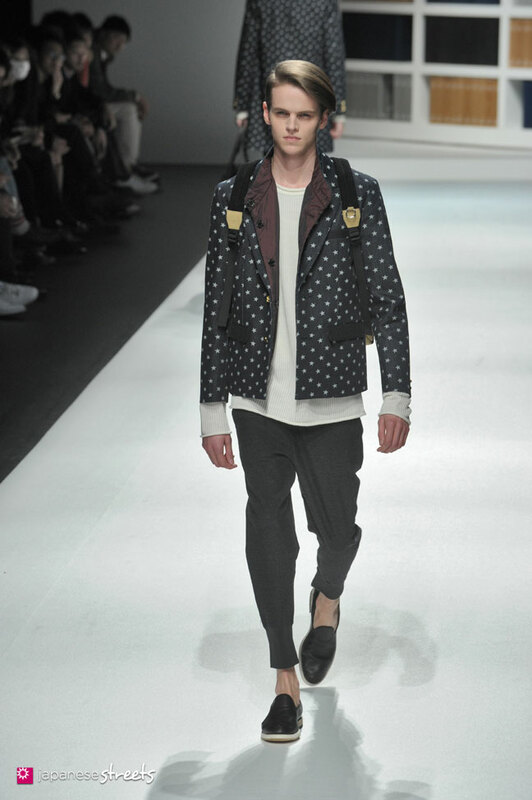 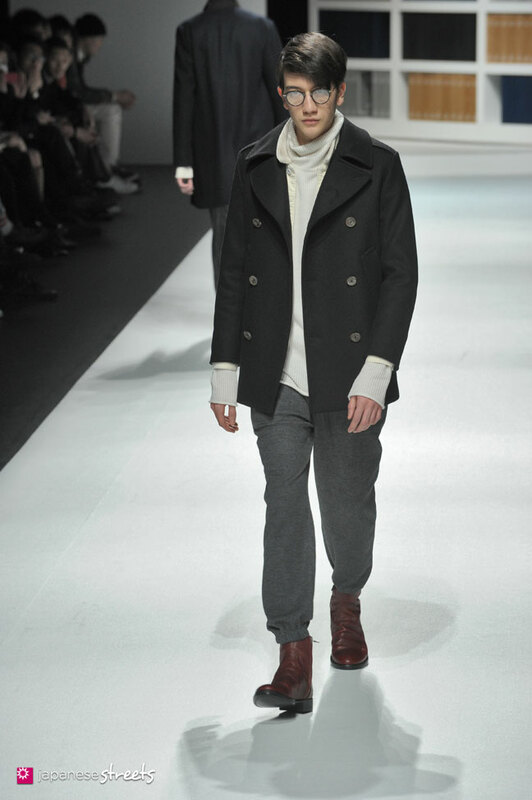 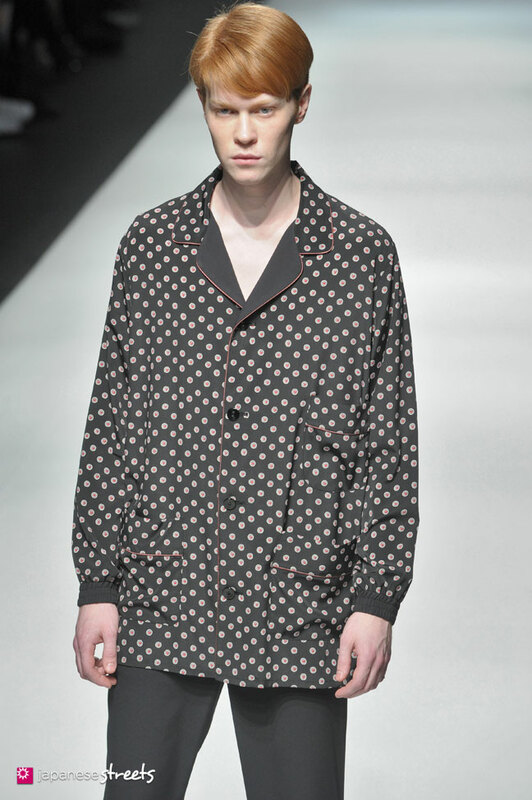 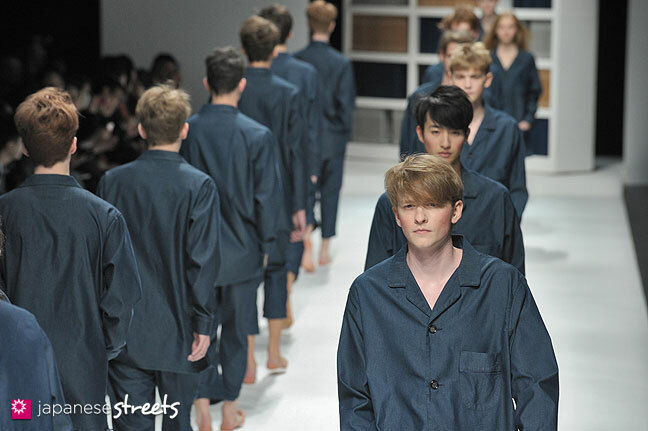 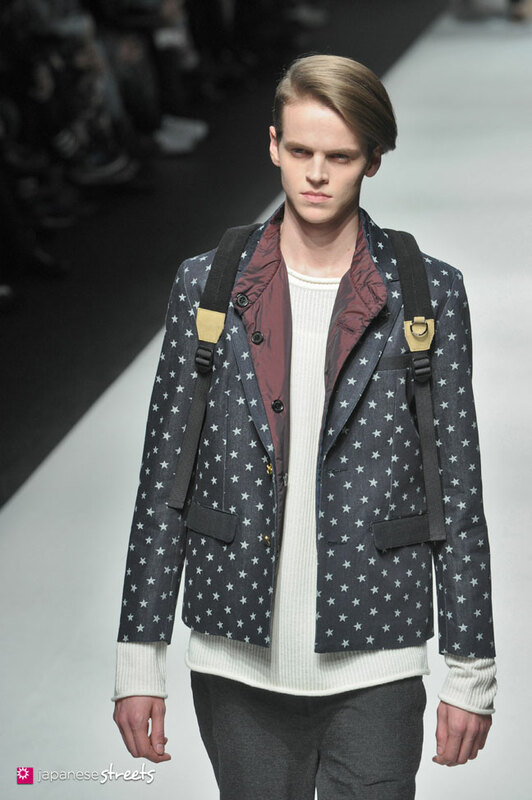 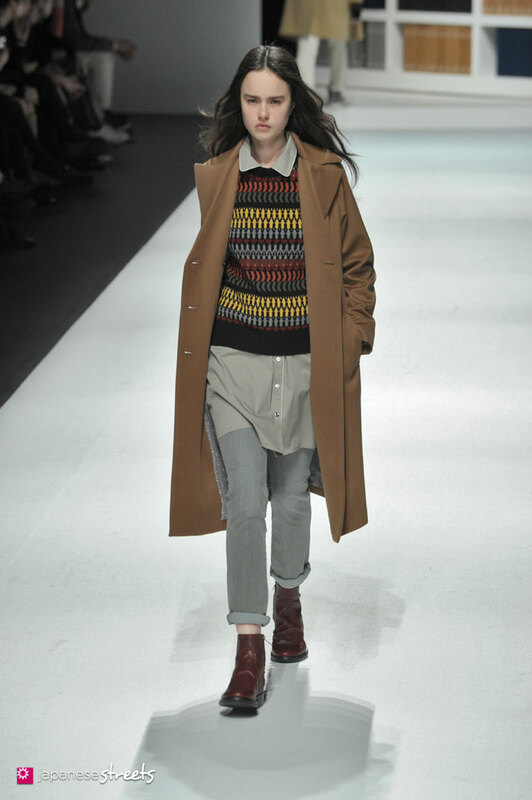 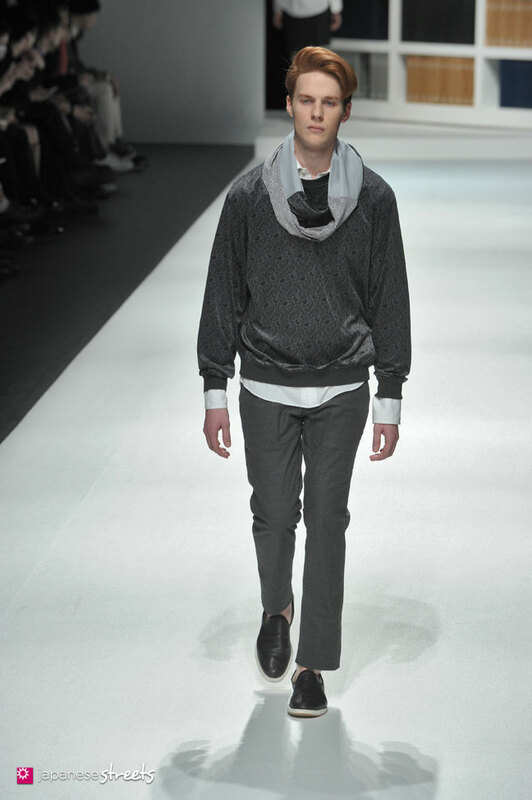 Autumn/Winter 2013 Collection of Japanese fashion brand FACTOTUM on March 18, 2014, in Tokyo. 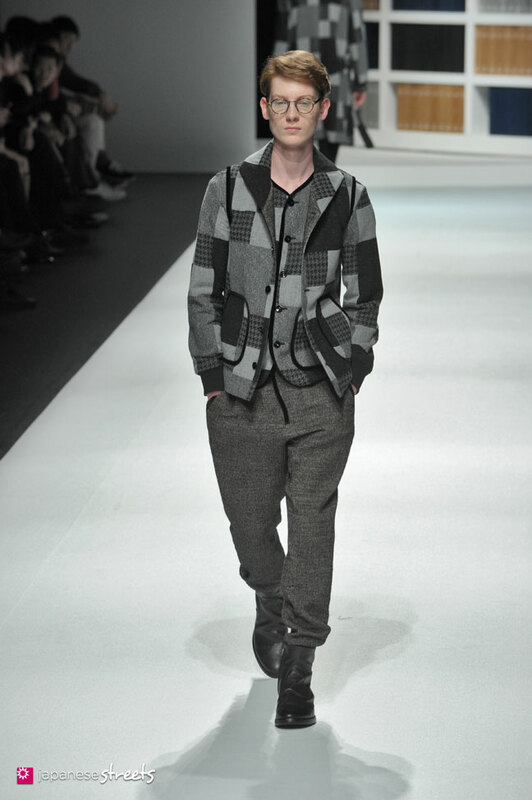 That was really beautiful, and calming to the eye. 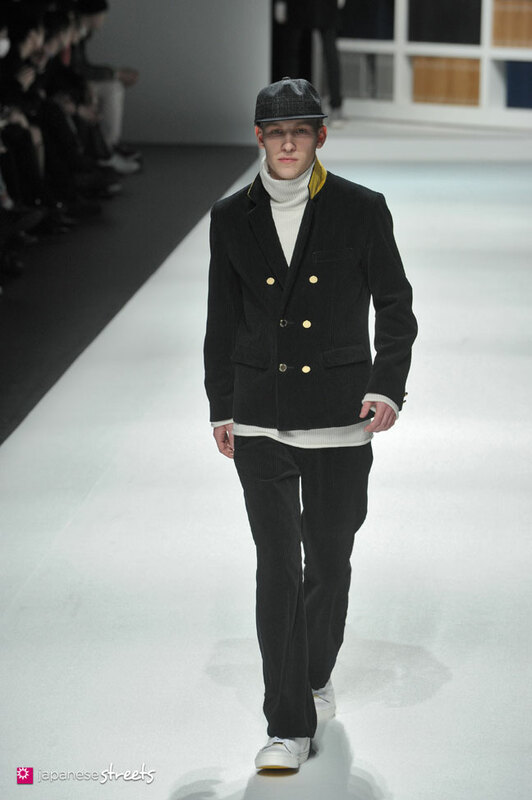 I love the berets! 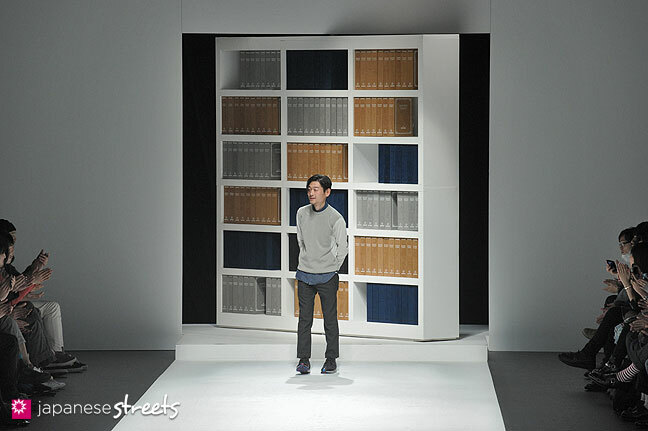 I liked the bookshelf in the background, very suitable to the whole collection. 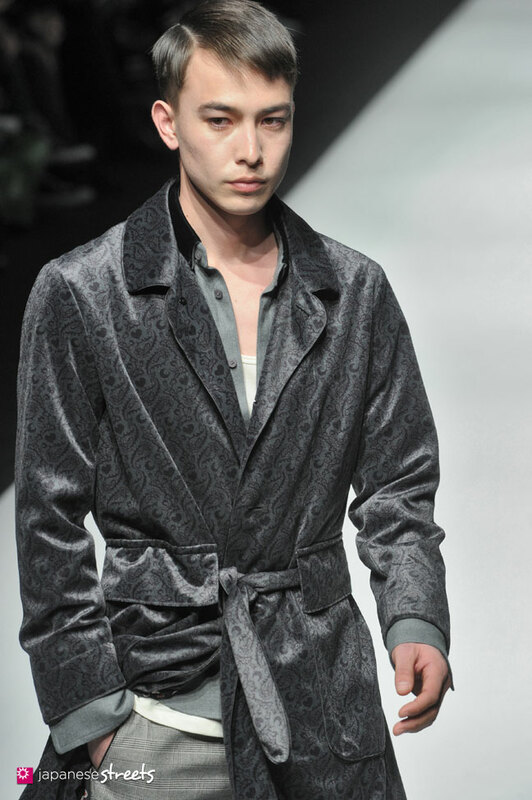 Lately I have seen some pijama-like pieces and this ones are very nice ones. 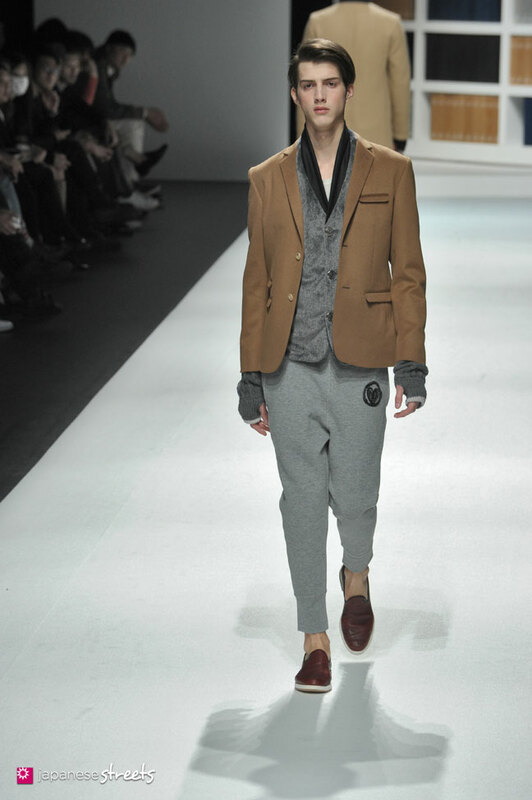 The concept has a nice London feeling to it that makes it very charming. 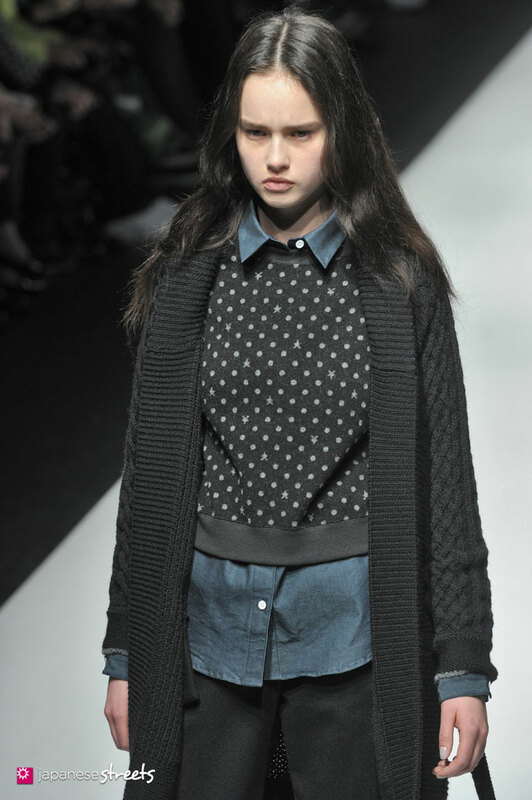 @Kimi & Maria: The collection also has a very bookish feel to it, don’t you think?